Besides ou our experience with the Temple of Transition at Burning Man, we have always felt a special bond with the “temple tradition” on the playa – a space for meditating, grieving, letting go, but also to celebrate cathartic new beginnings. For this reason we were also the first in bringing a Temple also at Nowhere, the European regional Burning Man gathering in the Monegros Desert (Spain). Over the last few years the “Nowhere temple tradition” has been carried on by a group of artists that, with the help of several volunteers, bring every year the Temple to Nowhere. 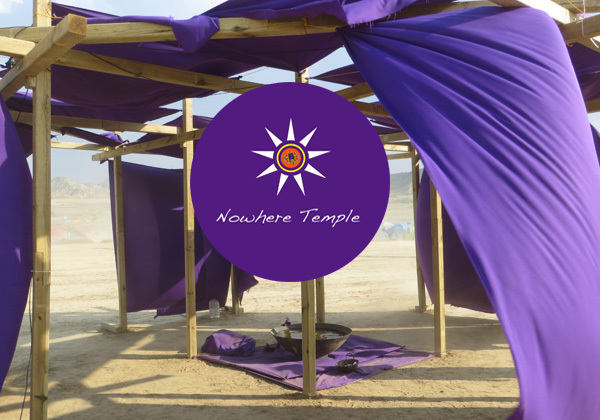 This year, as part of the Nowhere Temple Crew, we are involved in several steps of the project – from planning and budgeting, to build and even an after-event art placement in the Monegros. We’ll be soon involved also in the online fundraising activities and, in the meantime, we are working on gifting a brand new website for the project – complete with archives with all the previous Nowhere Temples!